This past Sunday, I hopped on the 7:30am Sky Bahamas flight that is usually running a bit early. They were early again this time too, but about 10 minutes. I was on my way to Bahamas Speed Week in Nassau. It was a neat trip and worth the effort. There were some really cool cars there, a couple of DB5’s like those seen with James Bond. There was a very rare original condition 375MM Spyder, a Delorean and I still like Jimmy’s Jaguar E-class the best. 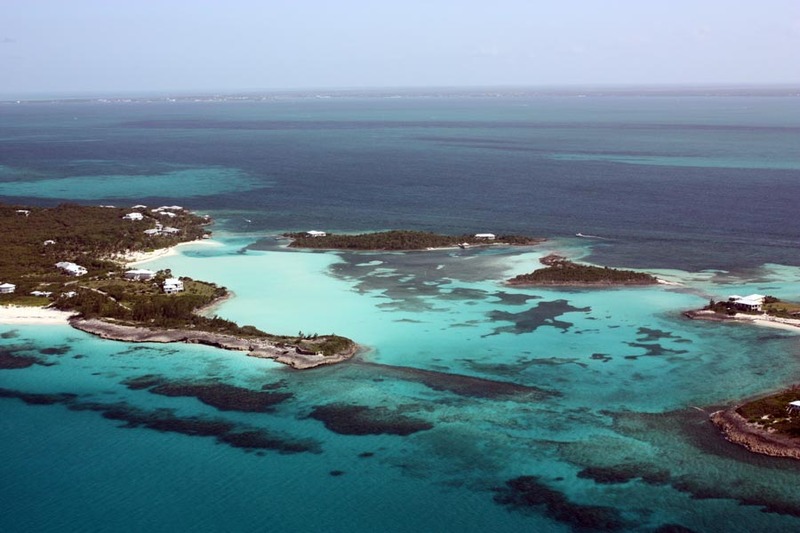 It was a short trip and I was back in Abaco by 4:30 that day, thanks to Sky Bahamas prompt service. For car enthusiasts it was a great event, with some great food, champagne and chocolates. 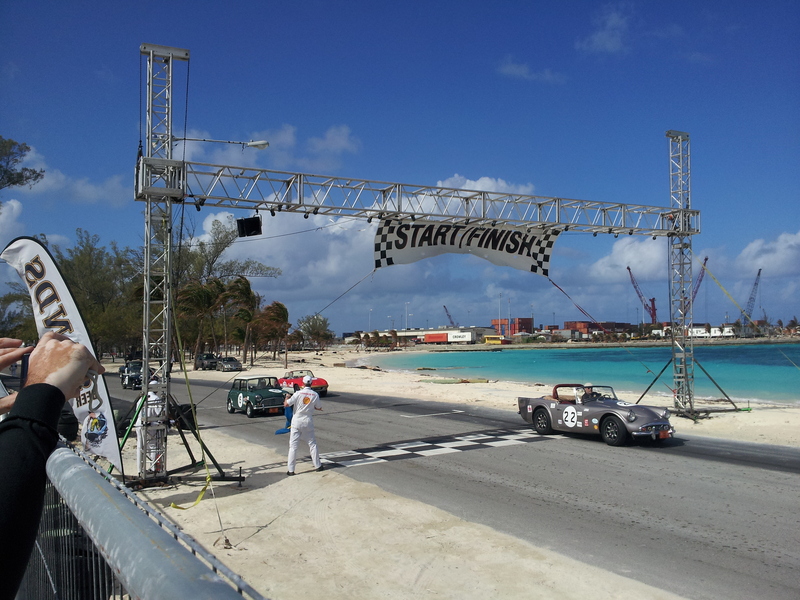 Check it out at www.BahamasSpeedWeek.com. ^ One of the starts of the pratice runs around the track before the time trials begin. Upcoming events include the Abaco Christmas Festival which is always a good bit of fun and well attended by locals, this coming Saturday December 8th. Now a bit of advice based on a recent experience for friends, readers and potential home buyers or future builders in Abaco. It is not a good idea to leave furniture and bedding etc. at the port dock in Marsh Harbour. Clients of mine have had their stuff left on the port dock in Marsh Harbour both in a container and some items were shipped loose. They were left on the dock as a result of the contractor’s inability to finish their house (It still isn’t finished as I write). They were sitting on the dock in a container for 5 months, including Hurricane Sandy. When the furniture was taken to the house, the mattresses were wet and growing mildew, as were the couches. It would appear that neither the shipping company nor the shipping insurance company nor the customs broker will take any responsibility for the items condition if they are not collected within 30 days of arriving. So, just a word to the wise, don’t leave your stuff on the dock and expect everything to be fine. Take the time and pay the extra money to put it into a proper storage facility if you cannot put it anywhere else. 30 days is the magic number I believe. This coming month of December is going to speed by as usual, firmly punctuated by the festivities of the year end holidays. I will plan to keep up with this blog posting once a week and we shall see how it goes. And now a shameless plug for a potential new listing coming on stream – for a beautiful unique home in the vicinity of the idyllic cove between Great Guana Cay and Scotland Cay.